Whether you need a temporary catering station, drinks bar, information point or demonstration area, this pop up dome event kiosk provides a highly visible, reliable structure than can be set up in just 20 minutes. 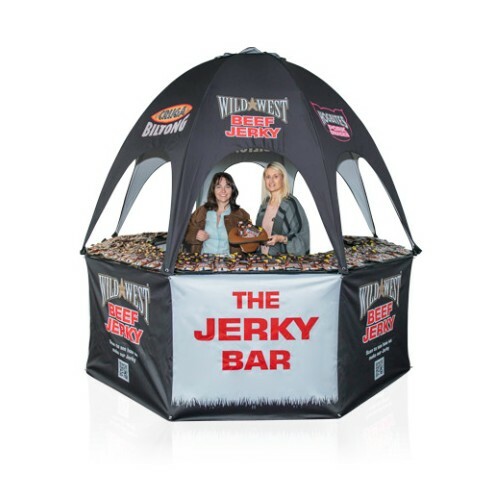 Perfect for use at any indoor or outdoor events, the portable and functional kiosk dome and base are made of high quality material, which can be custom printed with your branding, logo, promotional messaging and more to attract the attention of passers by, increasing customer engagement at events and shows. 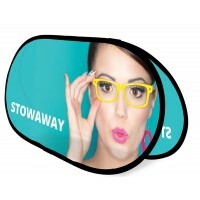 With vibrant colours and crisp, clear text, your event kiosk will be easily visible and instantly recognisable, even from a distance. 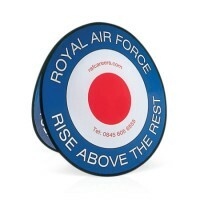 Constructed from durable water repellent material and printed with UV resistant inks, the event kiosk is ideal for use outdoors at sporting events, county fairs, charity events and festivals to serve food and drinks, or alternatively the versatile dome is equally valuable as an indoor information desk or promotional stand at exhibitions, trade shows and expos, as the bright dome attracts attention above the heads of crowds in busy, high traffic areas. 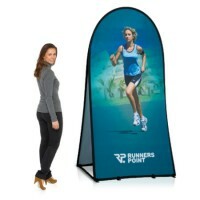 Large enough to comfortably fit 3 or 4 people inside, the event kiosk is easy to set up and take down, collapsing neatly for easy transportation and storage between events. 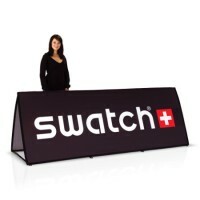 The eye catching design keeps your branding visible, while attracting passers by and drawing them in for product demonstrations, lead gathering, produce sampling or information distribution. 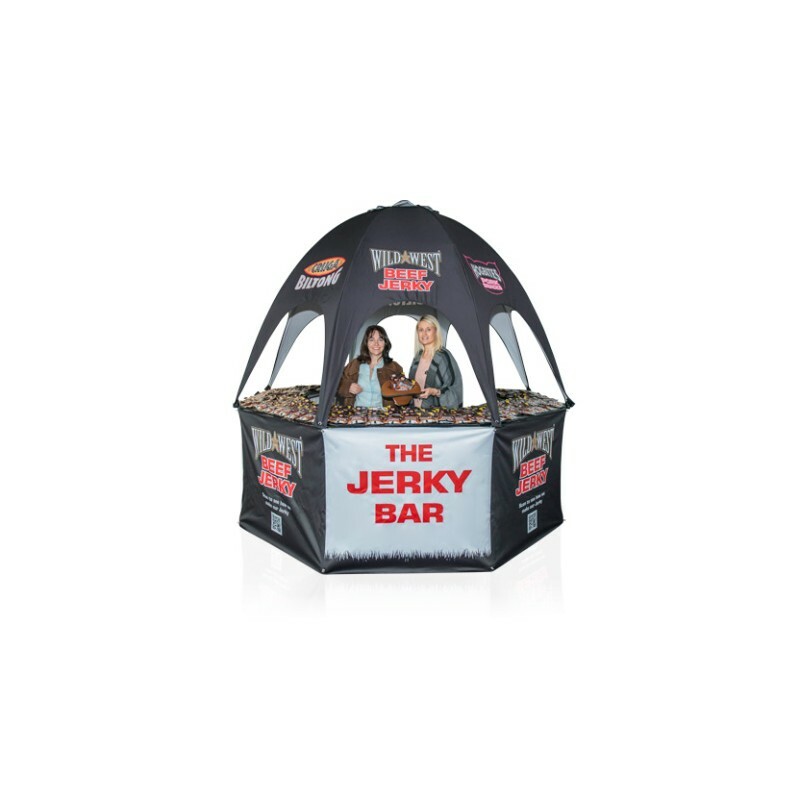 Effective, attractive and convenient, the robust and durable pop up dome event kiosk is a reliable and reusable custom marketing tool.